Punjab Vocational Training Council PVTC NTS Jobs has been announced by Punjab Government. Last date for the submission of application is Tuesday, 30th January 2018. 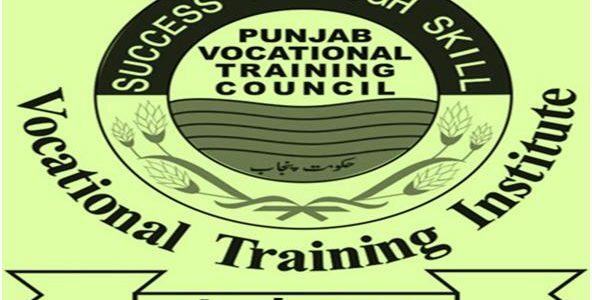 PVTC stands for Punjab Vocational Training Council. PVTC is the largest vocational training provider of Pakistan. It is an autonomous corporate body of Punjab Government having 348 VTIs with annual capacity of 200,000 trainees. The candidates having qualification of B.com, BCS, MCS are eligible for these posts in Punjab Vocational Training Council PVTC. Eligible aspirants must apply for these posts. Qualificaion details and other details about applying are in the advertisement given below. 1. Maximum age for all posts is 35 years (including 5 years General Age relaxation in upper age limit). 2. The reference date for determining post qualification experience and maximum age limit shall be the last date for submission of application. 3. Selection of eligible candidates shall be determined on the basis of transparent merit based criteria as laid down in PVTC Employees’ Service Regulations 2014. 4. The applicants shall have to go through the NTS test. 6. Last date for submission of application form is Tuesday, 30th of January 2018. 7. Roll no slip will be dispatch to the candidates postal addresses. 8. Result for Punjab Vocational Training Council PVTC NTS Jobs updated here.